First thing that I need to state … ALASKA!! Yes, when I read that this book was going to set in Alaska, I immediately jumped on the chance to ask for the advanced copy. Why? Again, Alaska! *laugh*. I love it when a setting of the romance book is set somewhere less familiar to me (although, being an Indonesian, every English romance I read is set somewhere not familiar, but you know what I mean). Californian guardsman Dan Farnsworth comes to Staggered Cove Station, Alaska, with a personal agenda. 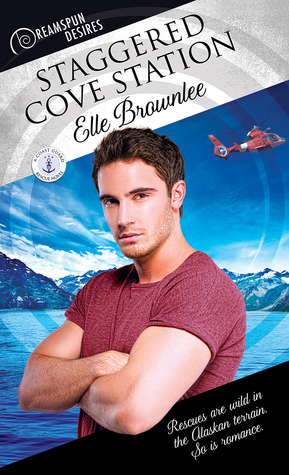 Dan needs to know the truth behind a missing rescuer since he knows the man personally. Dan doesn’t count on being attracted to Senior Guardsman, Alaskan-born Karl Radin, though, especially since initially, Dan thinks Karl hides something about the failed mission. The romance between Dan and Karl was nice, but personally, I felt it was slightly lacking ‘knowing each other’ moments. Maybe because Dan was hiding something from Karl. That was the only reason why I didn’t enjoy this more.